The screams were so loud that his family woke up in a panic. From the living room, the man we know as sss66666 was going crazy, the sort of crazy that befits someone who had become a millionaire in 13 minutes. 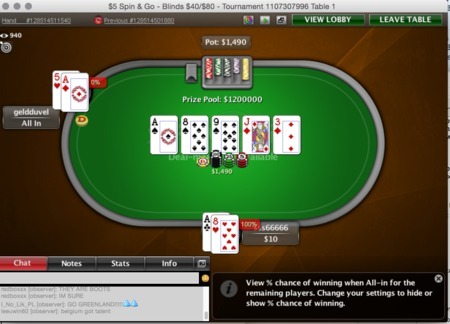 That was all it took to turn $5 into a cool million thanks to PokerStars' $1M Spin & Go promotion. For a handyman used to working long and hard in southern Russia just to make ends meet, $5 represented quite an investment. But what an incredible one, because the PokerStars software lit up before his eyes with the revelation that he and two others would be playing for a massive $1.2 million prizepool. The 33-year-old was in state of shock. "It was actually quite difficult. My heart was pounding and the adrenaline was rushing. I have never felt that way before," he told the Russian PokerStars Blog. But he soon came to his senses: "I pulled myself together, realising this was the opportunity of a lifetime. I knew I was guaranteed $100,000, and I would have been very happy with that." He lost half his stack after just four hands, which he claimed was "just part of the excitement", but soon doubled up again before knocking out Nonko999 with A♠8♥ against pocket sevens. That left him heads-up for a cool million. "With the odds now at 50-50, I had to gather my thoughts, overcome the anxiety and make only the right decisions." He would normally play only good hands, but the fast nature of Spin & Gos would make that difficult. However, as our millionaire-making story on Monday revealed, heads-up play lasted just two hands. sss66666 and geldduvel saw a flop of A♠8♠9♠, which was lovely for our man from Russia, who held A♣8♥, He coaxed his unlucky opponent into getting it all in on the J♦ turn. Geldduvel, from Belgium, had A♦5♥ and there was no way back, although $100,000 was still a pretty good runner-up prize. So with $1 million now deposited in his account, sss66666 can look forward to a life of luxury. No more grafting as a handyman. "I shall make sure the family has no financial problems, and I shall also make a donation to charity for children who need expensive treatment," he said. And then he paused as he realised he had a new problem to deal with: "I have not decided what to do with the rest of it yet." The $1 million Spin & Go promotion is still running. Will you turn $5 into $1,000,000? 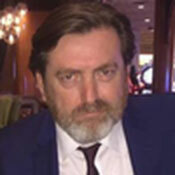 Simon Young is Editor-in-Chief at PokerStars.